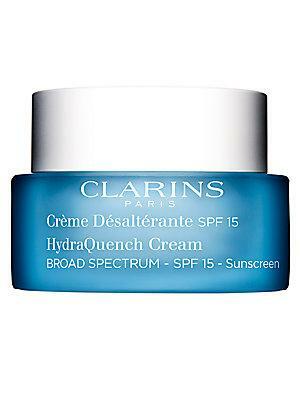 ClarinsClarins Hydraquench Cream Spf 15/1.7 Oz. HydraQuench Cream SPF 15/1.7 oz. Clarins Gentle Refiner Exfoliating Cream /1.7 Oz. Clarins Super Restorative Night Cream All Skin Types 1.6 Oz. Clarins Super Restorative Night Cream All Skin Types /1.6 Oz.